Certain elements of home décor are short-lived, but top-quality antique replicas and collectibles are timeless. 1000Bulbs.com has partnered with antique reproduction maker Authentic Models to launch a line of antique reproductions offered through 1000Bulbs.com. The collection includes high-end furniture, aviation decor, model automobiles, nautical reproductions, architectural models, and various popular reproduction items. 1000Bulbs.com is particularly excited to bring these products to market as they are uniquely handcrafted with the utmost quality and consist of the same materials used to create the originals. Authentic Models holds the exclusive rights to reproducing authentic maps from certain time periods. This makes their map and globe reproductions even more unique, as they have a history behind them. These pieces make an excellent addition to any living room, office, or kid’s bedroom. For those who are more nautically inclined, there are ship models, compasses, bells, and navigation tools. With true-to-life models ranging in size from small fishing boats to intricate replicas of the Queen Mary, there is something for every maritime enthusiast. As 1000Bulbs.com made its name in the lighting world, it’s only right that this new line of home décor would also include vintage reproduction lighting fixtures, bringing to mind the glory days of Old Hollywood. These lighting pieces are mainly constructed from solid brass, hand-polished aluminum, or rosewood. Other offerings such as desk lamps include high-end materials like granite and hand blown glass. "I’m mesmerized by the beauty of these classic vintage reproduction products. I can see exactly how I can decorate my own home with these magnificent pieces. What impresses me the most is the handcrafted quality. You can tell a significant amount of time and skill is put into each finished reproduction," says 1000Bulbs.com CEO Kim Pedersen. Equally suited for nostalgia buffs and contemporary collectors, these new products emphasize a respect for the past, while also catering to the modern day interest in the evolution of transportation and technology. For example, a globes accuracy changes as knowledge increases, thereby making certain globes famous, as they are a snapshot of a specific moment in time. 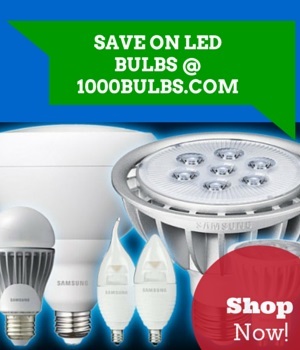 Replicas offered by 1000Bulbs.com adhere to the highest standards of both quality and design. The collection also features an assortment of architectural models with pieces based upon the design of international icons, such as Russia’s iconic Ivan and Anastasia Towers, Italy’s Leaning Tower of Pisa, and the Bisque Duomo, along with classic examples of Roman architecture, including renaissance cupolas.